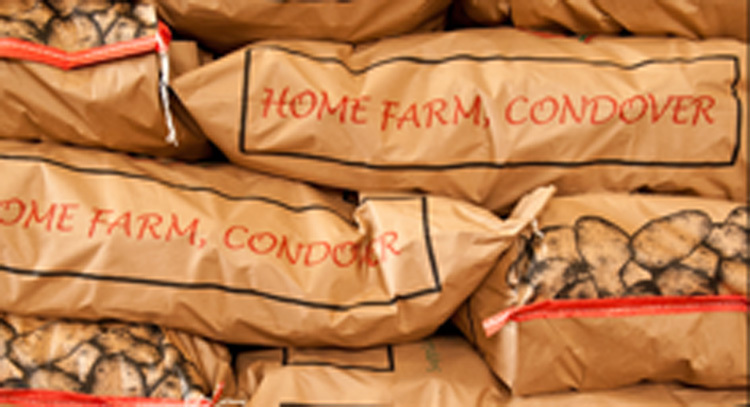 95% of the potatoes sold from Home Farm are chipping potatoes, sold in 25kg bags to chip shops nationwide. All home grown are farm assured. Buy direct from us on the farm for the best price around. Potatoes are grown at Home Farm by Geoff and David Cartwright. 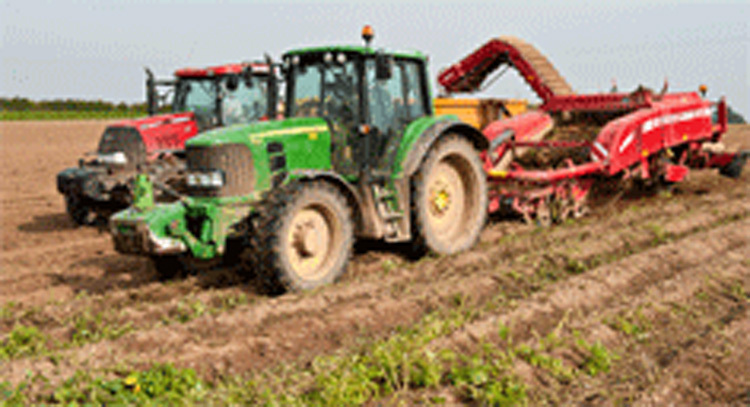 The production process starts with the traying up of seed potatoes in November. This seed is then exposed to flourescent lights and kept free from frost for the next four months. This enables the seed to chit (starts growing and produces a small green shoot) ready for planting. Planting takes place between March and April depending on the weather and the varieties being planted. 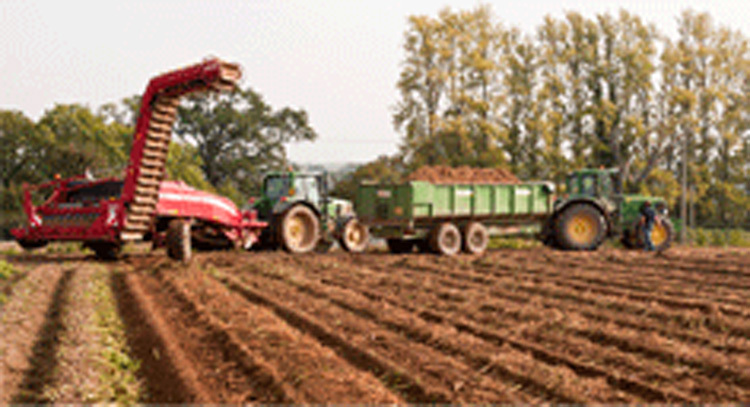 Good soil preparation is essential for growing potatoes. This involves several cultivation techniques and the addition of fertilisers before planting. The plants are then lovingly nurtured for the next three months for early potatoes and for five months for main crop. Irrigation of the crop is essential to optimise yield. Harvesting takes place from June to October. 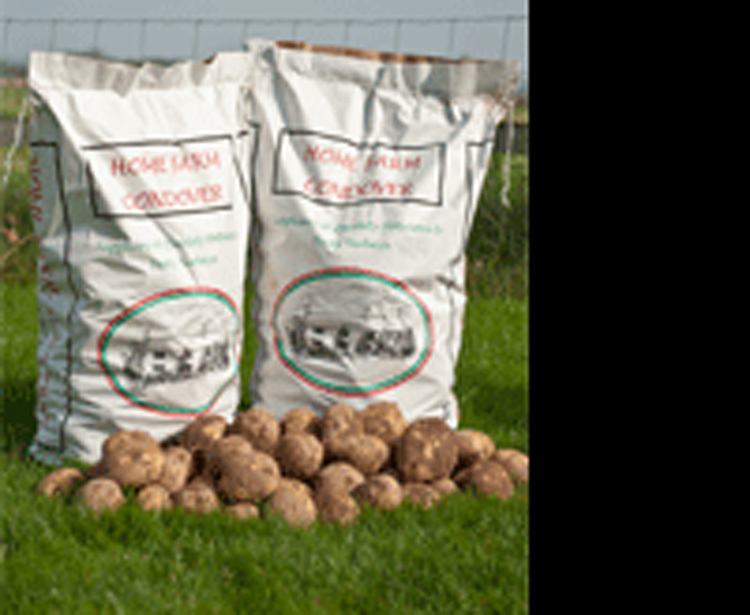 A high yielding early bulking variety suited to early processing and fresh bagging market. Attractive, bright uniform oval tubers with white skins and flesh. A medium yielding early bulking potato, that achieves a high dry matter early season. Attractive, bright uniform oval tubers with a light yellow flesh. It is suited to the early processing and fresh bagging market. A high yielding variety with bold tubers, with high early season dry matter content. Oval to long oval tubers with yellow skins and flesh. It is suited to the early processing and fresh bagging market. 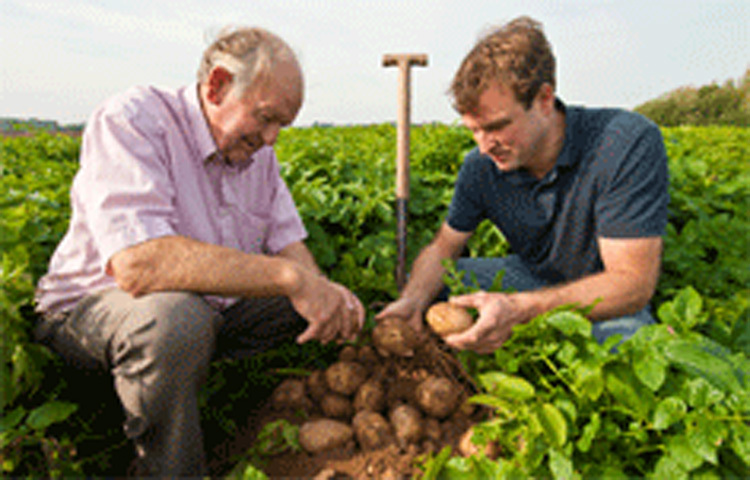 A high yielding variety with bold tubers that can achieve a high dry matter early. Oval to long oval tubers with white skins and light yellow flesh. It is suited to the early processing and fresh bagging market. A high yielding variety that produces a high number of tubers per plant. Oval to long oval tubers with white skins and flesh. A true favourite for the processing and chipping market. A high yielding variety. Oval to long oval tubers with cream skins and medium yellow flesh. A recently established favourite for the processing and chipping market. A high yielding variety that is suitable for the pre-pack and general ware market. Long oval yellow tubers with light yellow flesh. The best choice for boiling potatoes. A high yielding variety.It has oval to long tubers with a cream skin. A great choice for the bag and chipping market.